How many trees does one plant to mitigate ones carbon footprint? "the total amounts of greenhouse gas emissions caused by an organization, event, product or person." 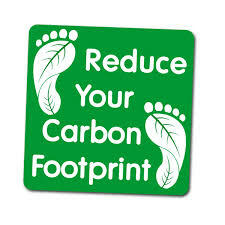 Check your individual Carbon footprint and plant trees to mitigate it. and how we can help mitigate by planting trees. How will my planting trees help? Why should I plant a tree? The simplest way to combat climate change is to plant trees: Trees breathe in Carbon Di Oxide and through the process of photo-synthesis create food for themselves and breathe out Oxygen. Carbon Di Oxide is one of the main causes of global warming. CO2 and other Green House Gases blanket the earth's atmosphere and trap heat. This leads to warming of the earth's atmosphere as the trapped heat is prevented from escaping. Planting and nurturing a tree helps reduce global warming as trees absorb CO2 and release oxygen. A mature tree sequesters up to a ton of Carbon in its life time. It also gives out enough oxygen required by two human beings. As a gift: Gifting a tree to a friend, a colleague, a dear one can be a very unique experience. In memory of a loved one..
To mitigate our individual carbon footprint. As part of our corporate social responsibility. Sustainable Green Initiative plants fruit trees on fallow/ community lands and on lands owned by marginal and Bpl farmers. We work with self help groups and NGOs who help us identify right beneficiaries who can continue the process of planting and nurturing trees. (See our methodology). 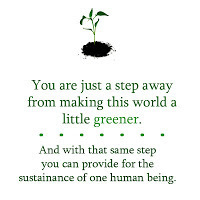 At Sustainable Green Initiative, we plant trees to help the fight against climate change and also hunger, poverty and rural migration. By planting a tree through us, you help in doing your bit to mitigate your carbon footprint and carry on the fight against hunger, poverty and climate change. Planting fruit trees helps combat hunger, poverty and global warming. Did you know a tree sequesters about 1 ton of carbon and processes enough oxygen for two peoples requirements in its life-time? So what are you waiting for? Plant a tree today.